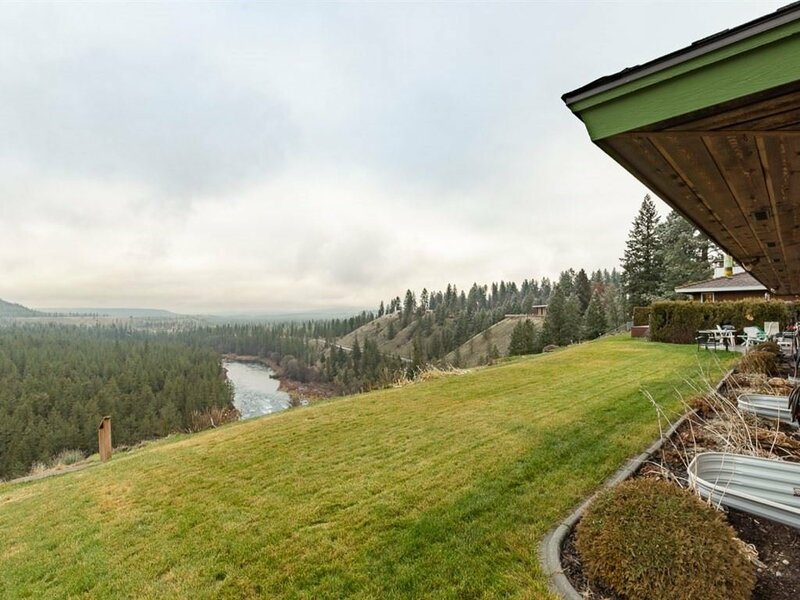 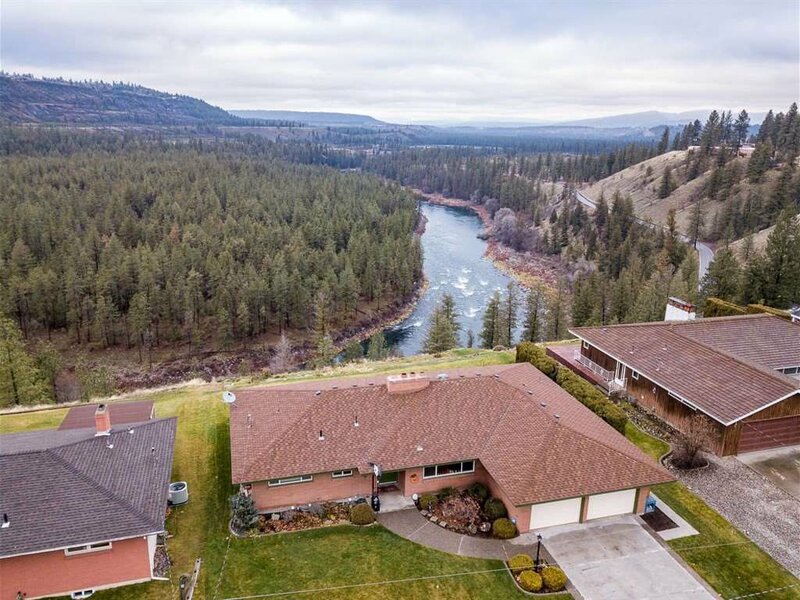 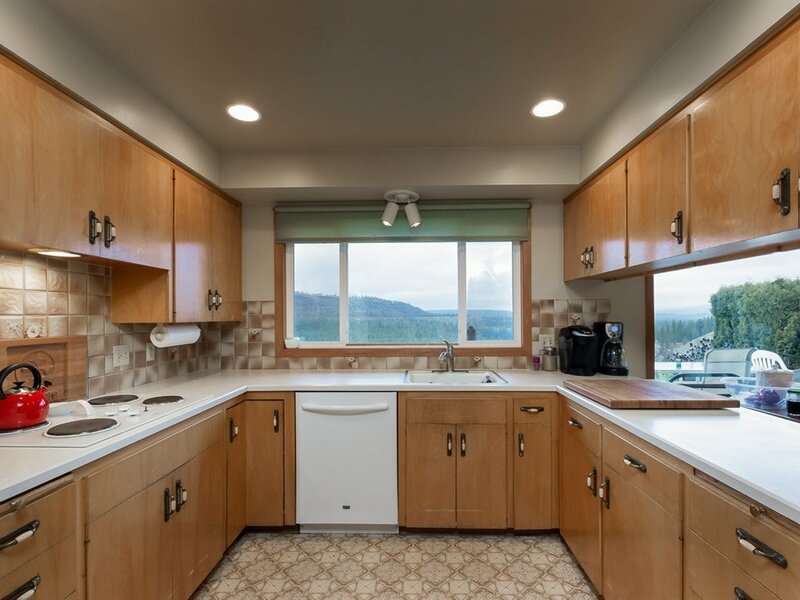 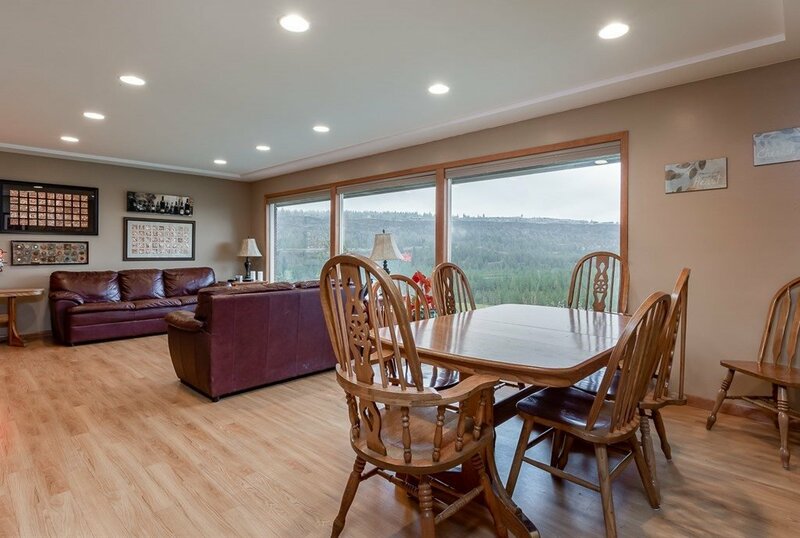 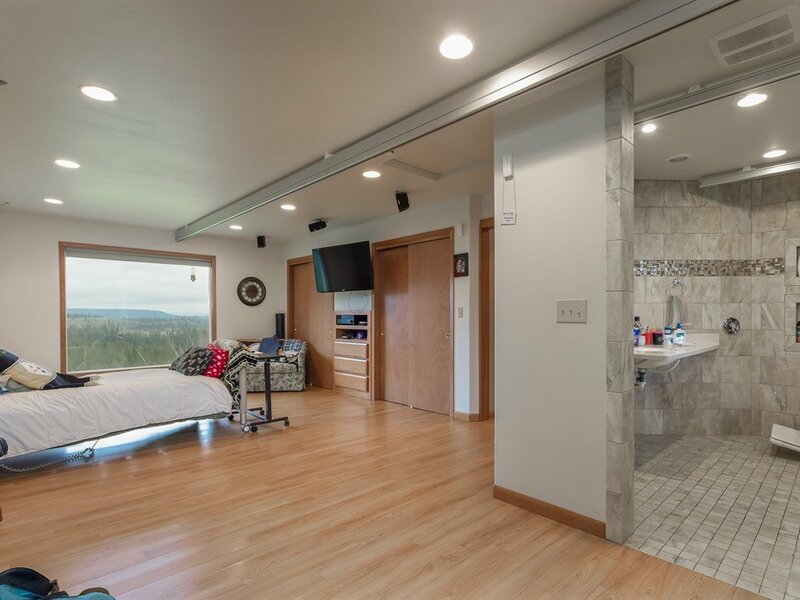 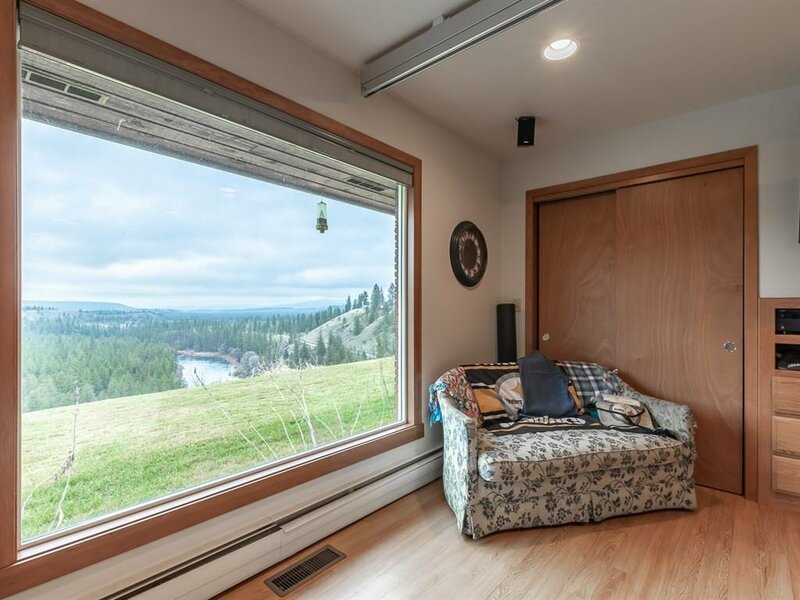 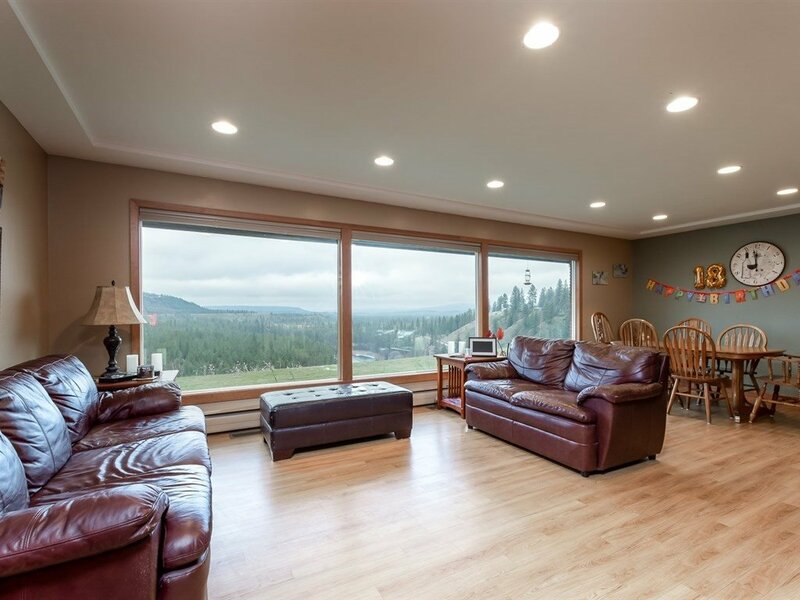 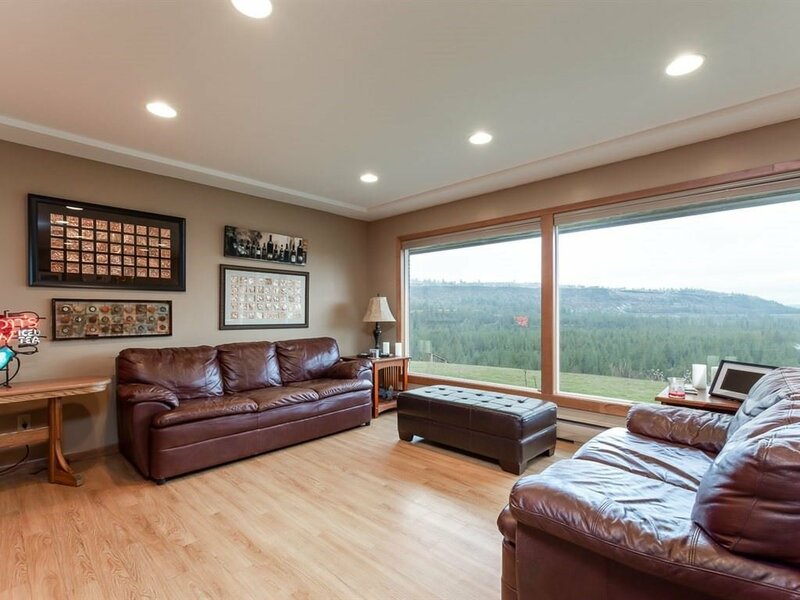 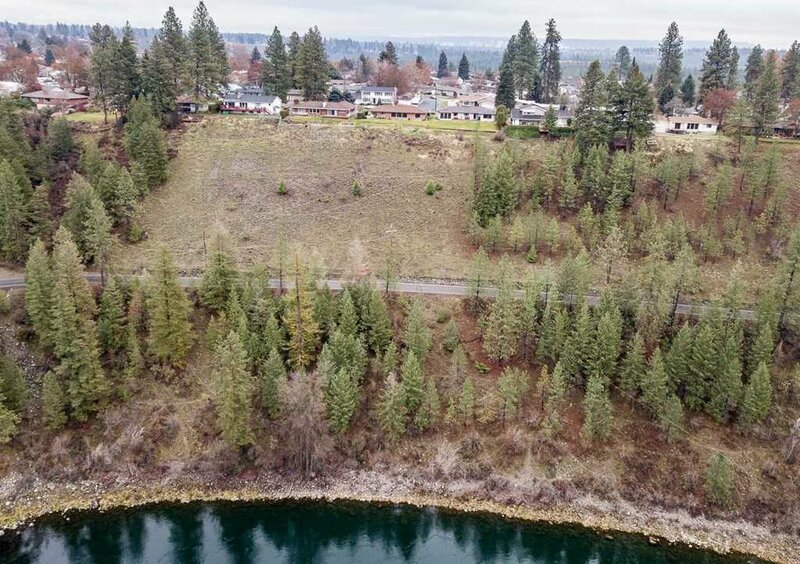 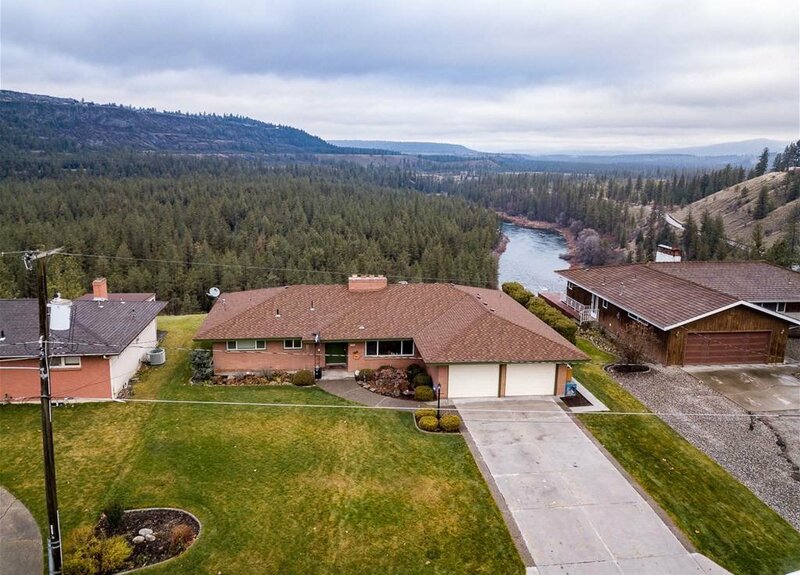 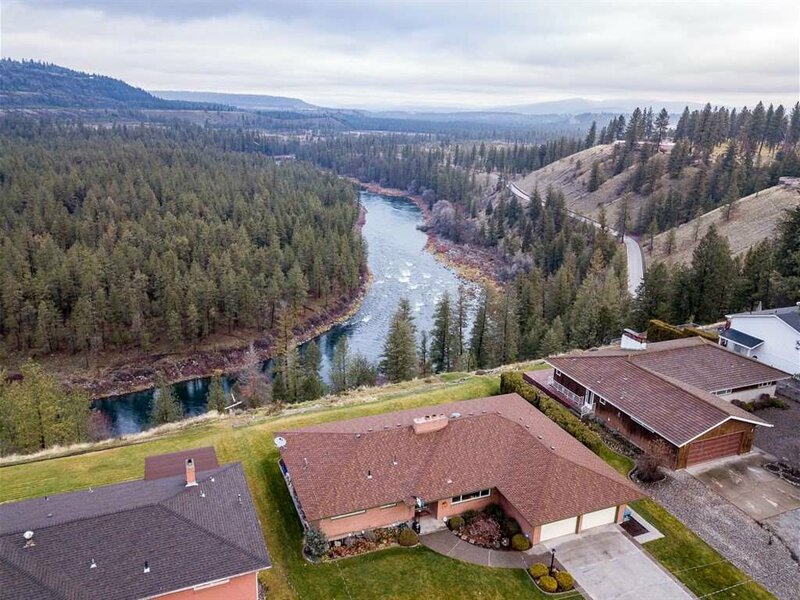 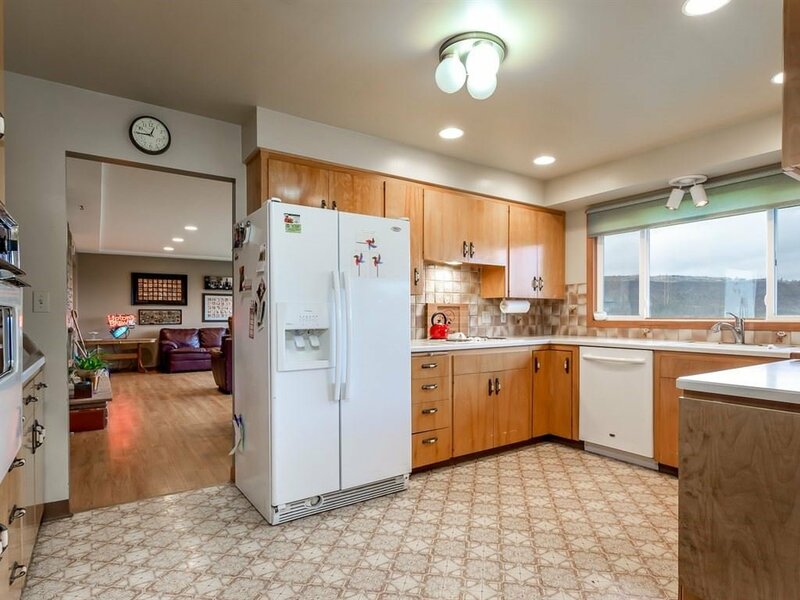 One of the few incredible view lots on River Ridge overlooking The Spokane River~ This Solid brick rancher has 3330 sq ft~ 5 beds, 3 baths + 2 car attached garage! 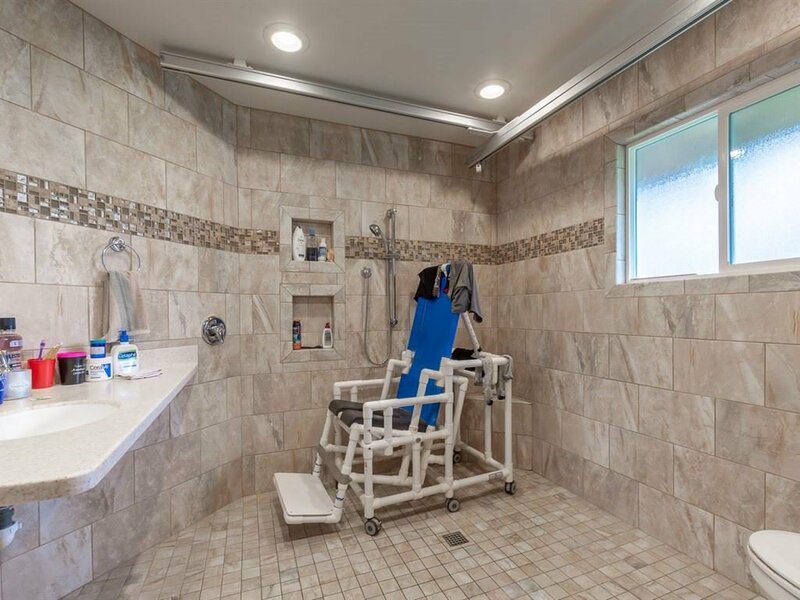 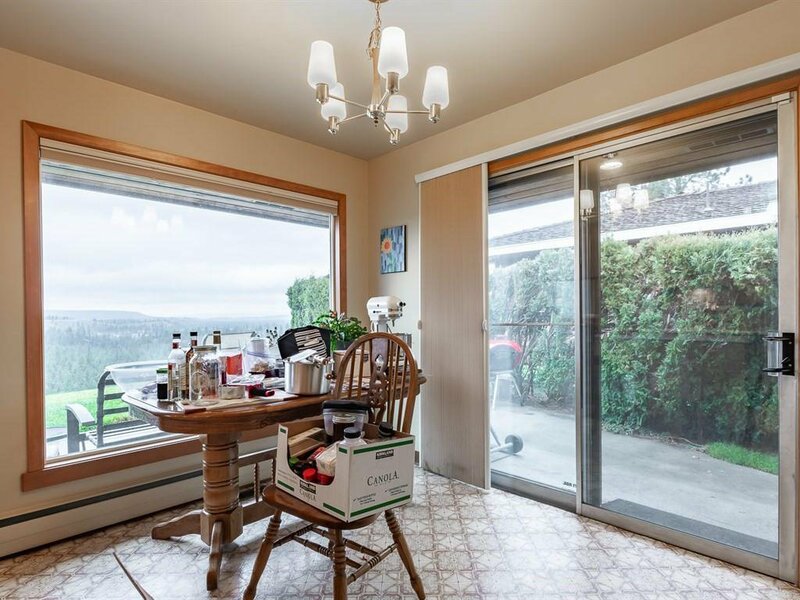 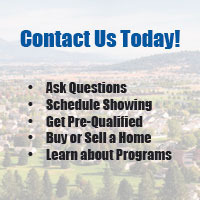 ZERO steps at front or rear entry and wheelchair accessible. 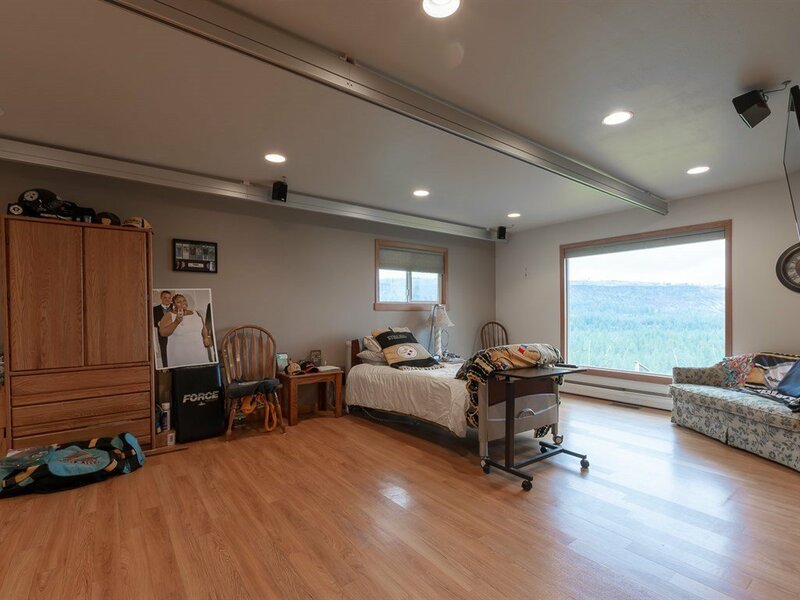 Main Floor Master suite is modified ADA compliant ~3 wood burning fireplaces, office or 5th bedroom off entry, large living room area, hardwood floors, dining room, kitchen + eat space! 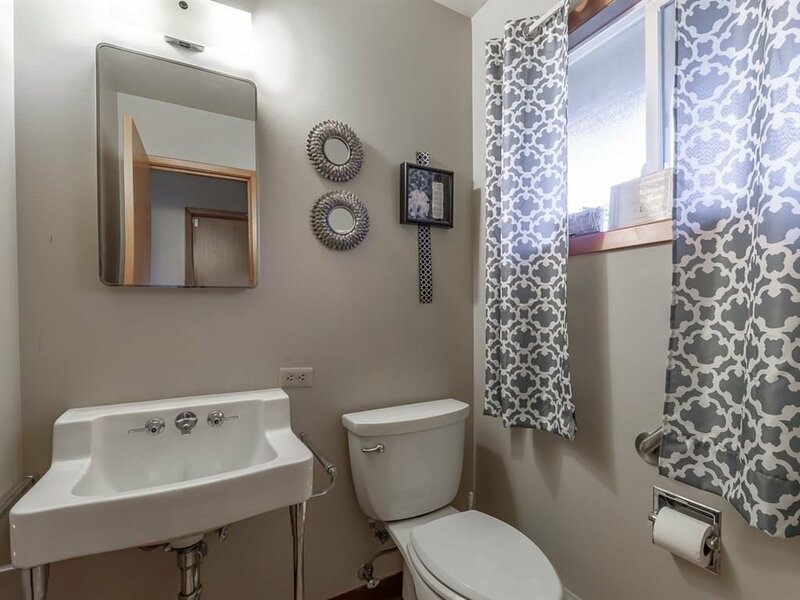 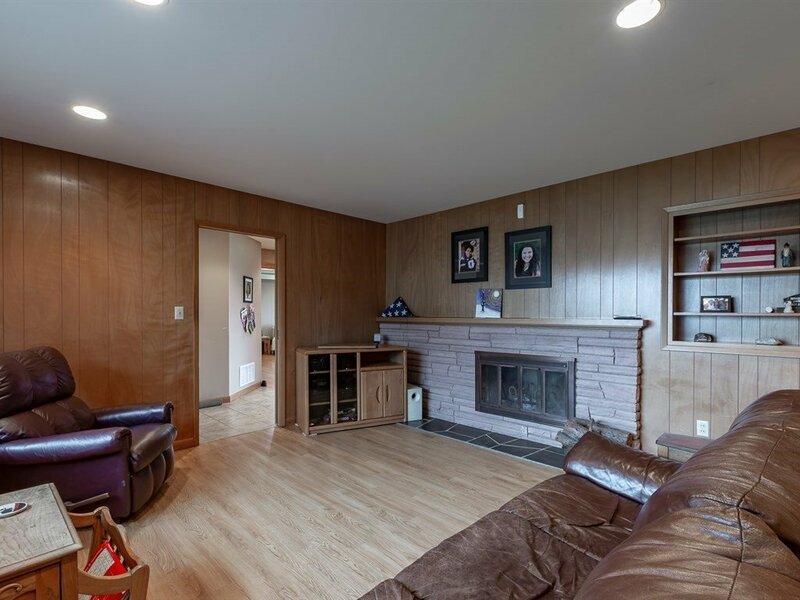 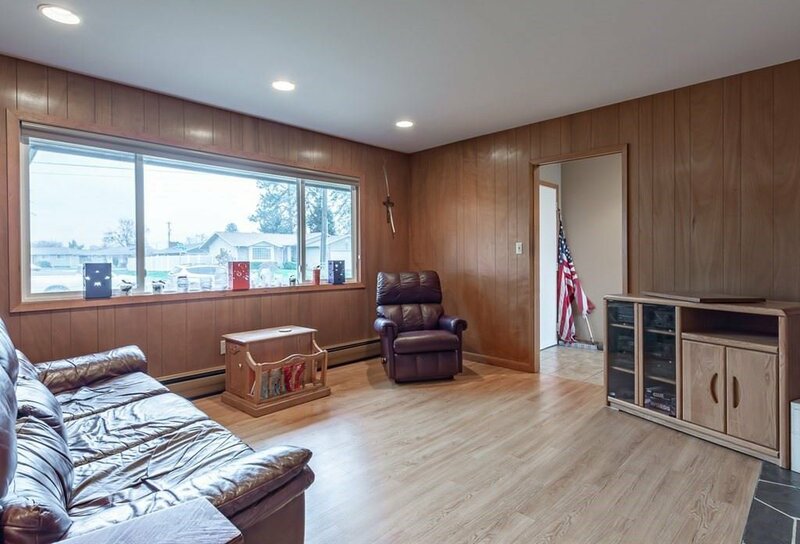 Basement finished w/ family room +3 beds + 1 bath! 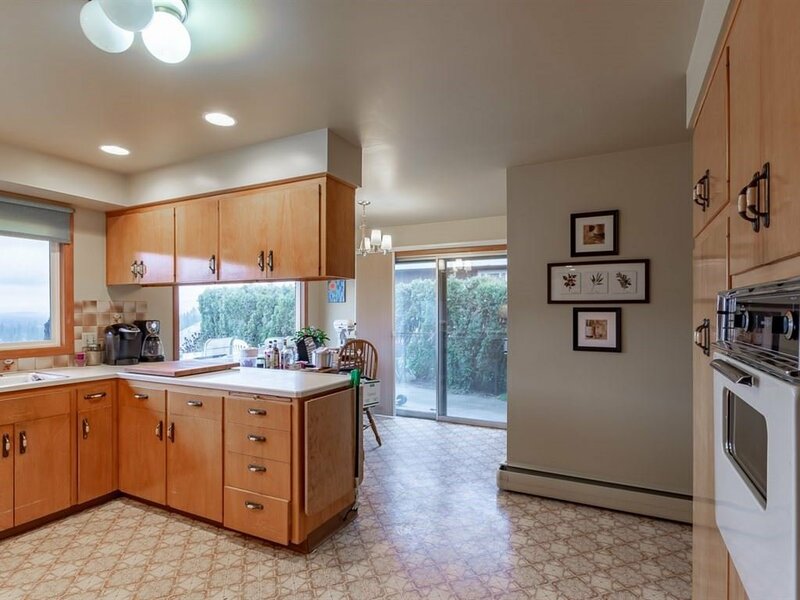 Basement Laundry~Newer Architectural Roof!